You may have seen that I was lucky enough to attend the Lush White Rose Centre opening party, and because Lush is just too tempting for me… of course, some shopping happened. I’m also tempted to blame the influence of Claire and Bridie, along with the delicious cocktails, buzzing atmosphere, and (naturally) the fact that Lush products are just too addictive to say no to. The first thing in my basket was the Christmas Eve bubble bar. My jasmine addiction knows no bounds, and this has been a festive favourite of mine for years. 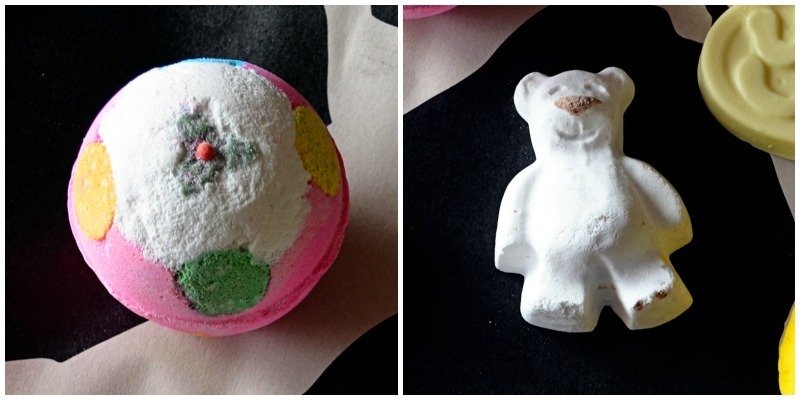 It’s such a seductive and calming bubble bar, and for me it just doesn’t feel like Christmas without it. At the party, we were treated to demos of how to make The Comforter bubble bar by some of the staff from the Lush kitchen. After swirling the doughs and letting them dry for 24 hours, mine turned out pretty nicely and I can confirm definitely behaved like the Comforter I know and love so very much! Next up, following the brightly coloured demo from the lovely Lush staff was a Luxury Lush Pud for Dan. He’s been obsessed with the Lush puds (in their various incarnations) for years now, and I couldn’t resist picking the ridiculous pink bomb up for him. I also got another gift for Dan, in the shape of the adorable and festive Butterbear. Dan is the same way with cocoa butter that I am with jasmine – it’s like catnip. This cute bear shaped ballistic shares the same formula as his all time favourite bomb, Butterball. It’s vanilla-y and sweet and leaves the bath water feeling unbelievably silky. 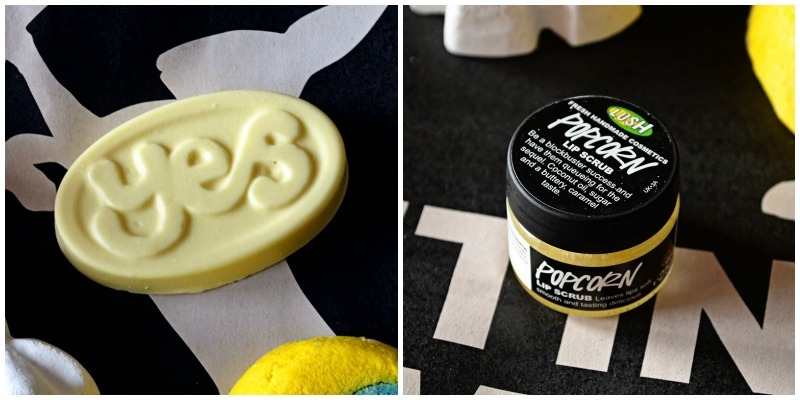 After having a lovely hand and arm massage using the Yes Yes Yes massage bar, and falling head over heels for the intoxicating jasmine scent, my very own Yes Yes Yes bar just happened to fall into my basket. Whoops! 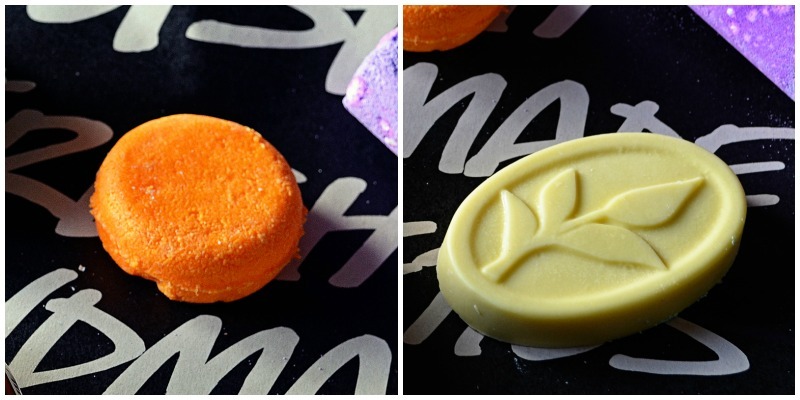 I love the Lush massage bars (you’ll be hard pushed to find one that I haven’t tried over the years) as they’re great for massages (duh!) but also work really well after a bath or shower as a luxurious body-butter kind of affair. Spurred on by Claire’s purchase of the Bubblegum lipscrub (tried it before, loved it, too delicious!) I decided to try out the Popcorn lip scrub. It’s a simple sugar scrub infused with coconut oil, that tastes exactly like popcorn. I love sugar scrubs around this time of year, as my lips can get really dry and peel in the cold – Lush scrubs always sort my lips out, pronto. 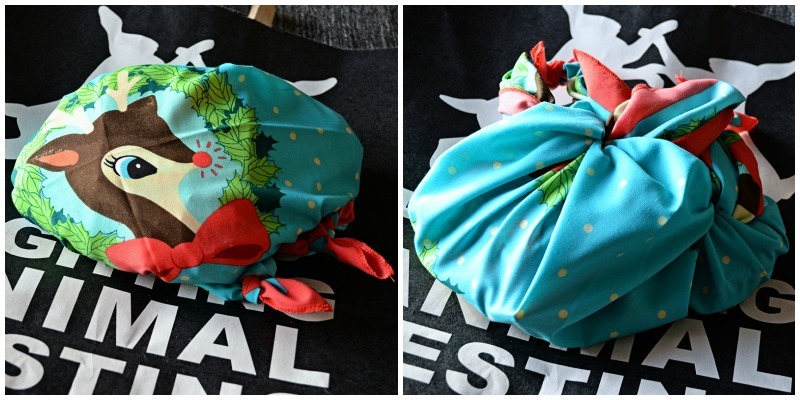 When I took my basket to the till to finish up (okay, and stop myself from buying the whole damn shop) I was gifted with a lovely and unexpected surprise – this gorgeously festive It’s Christmas Deer Knot Wrap all done up like a little bag, brimming with Lush goodies. Inside the bag were five lovely treats, starting with the Brazilliant shampoo bar – part of the new hair care range. As this has been designed for curly hair (and I tend to be on the wary side with citrusy shampoos – never the best idea with dyed hair!) I’ve gifted this to my friend Catherine, with her gorgeous curly locks. I was absolutely thrilled to find a Shades of Earl Grey massage bar, as I very nearly purchased this bar anyway! Earl Grey is about the most standard or boring tea you’ll find in my house, and I love the delicate mixture of bergamot, lemon and lime in this bar. I’m really excited by the next product, a bottle of the So White shower gel. This is a beautiful apple scented, shimmery shower gel that also has a ballistic of the same name. Next out of the knot wrap was The Christmas Hedgehog – a limited edition rose, ylang ylang and sweet orange oil infused bubble bar in the shape of a frosty little hedgehog. He’s almost too cute to crumble into a hot bath, but I’m sure I’ll get over it as this bar smells so lovely. Finally… and I think we’ve established that I have a ridiculous obsession with jasmine… the Northern Lights bomb was so very nearly a purchase, and I actually squealed with joy when I pulled it out from the knot wrap! I am beyond excited to use this bomb, as it smells incredible (jasmine and ylang ylang, thank you Lush!) and promises to turn the bath water into a display to rival the Northern Lights themselves. 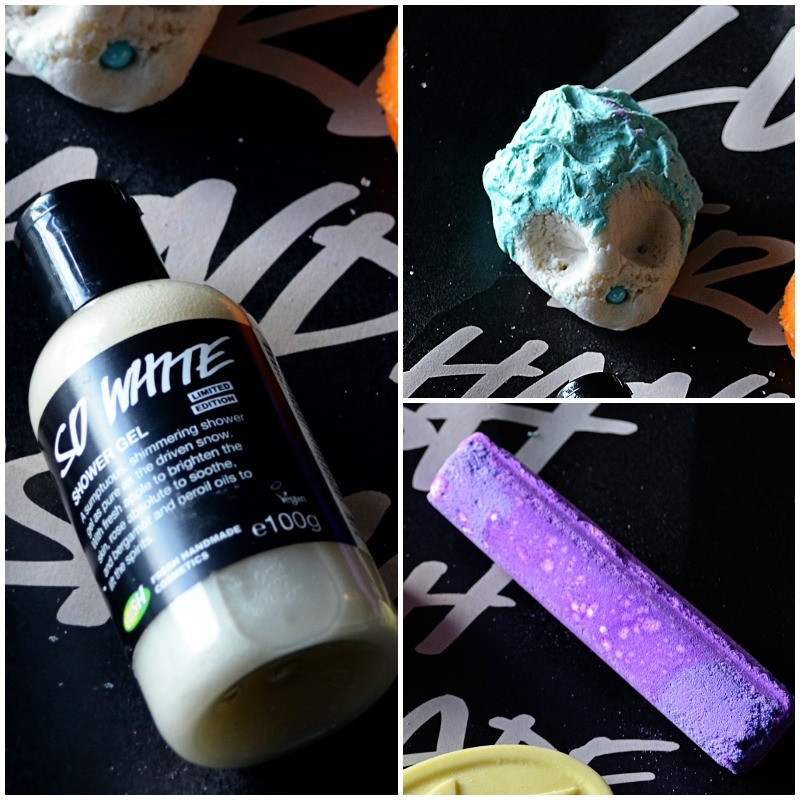 A big thanks to Lush White Rose for your lovely gifts – it’s like Christmas came early for me! So tell me… are you hoping for something Lushie for Christmas? So jealous that you were able to attend! All of your goodies look fantastic. 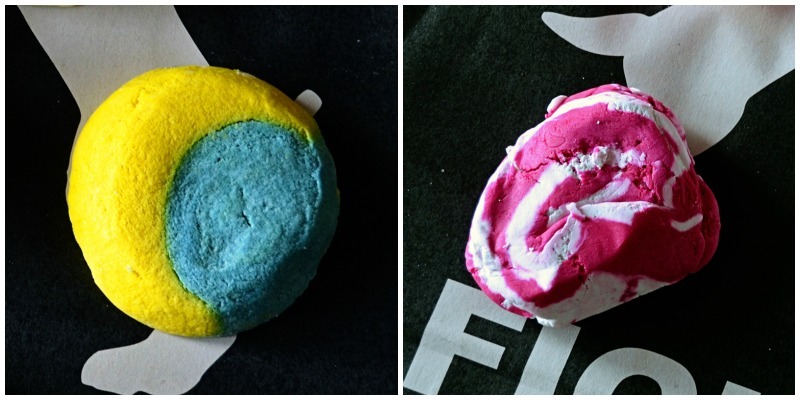 I LOVE massage bars from LUSH! I am most interested in hearing about the Braziliant shampoo bar. I can’t imagine what using solid shampoo is like. 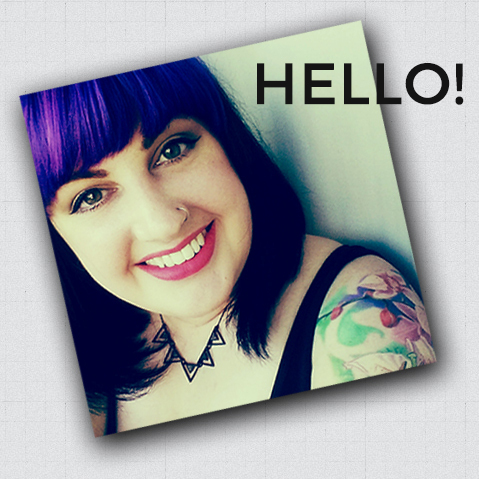 I did just recently switch to LUSH’s “I Love Juicy” liquid shampoo and am absolutely head over heels. Would be nice to feel the same about something that doesn’t come in a jar (saving the earth one shampoo at a time I suppose, haha!). You got some awesome stuff! And now I am craving lebkuchen! Haha!